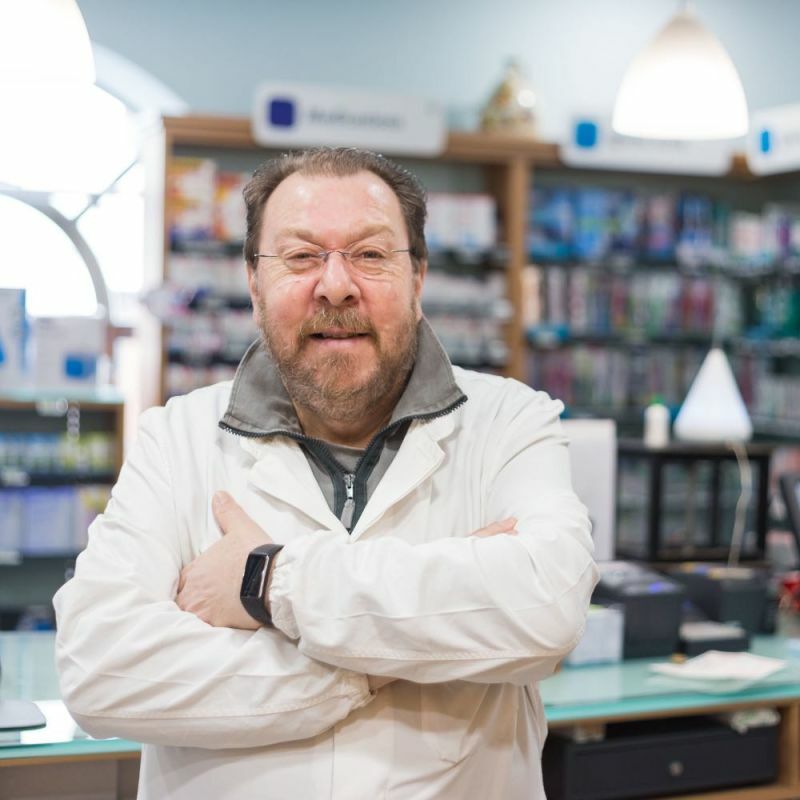 Pharmacist, in the footsteps of his father he has been running the Alla Madonna Pharmacy, a family business for three generations. 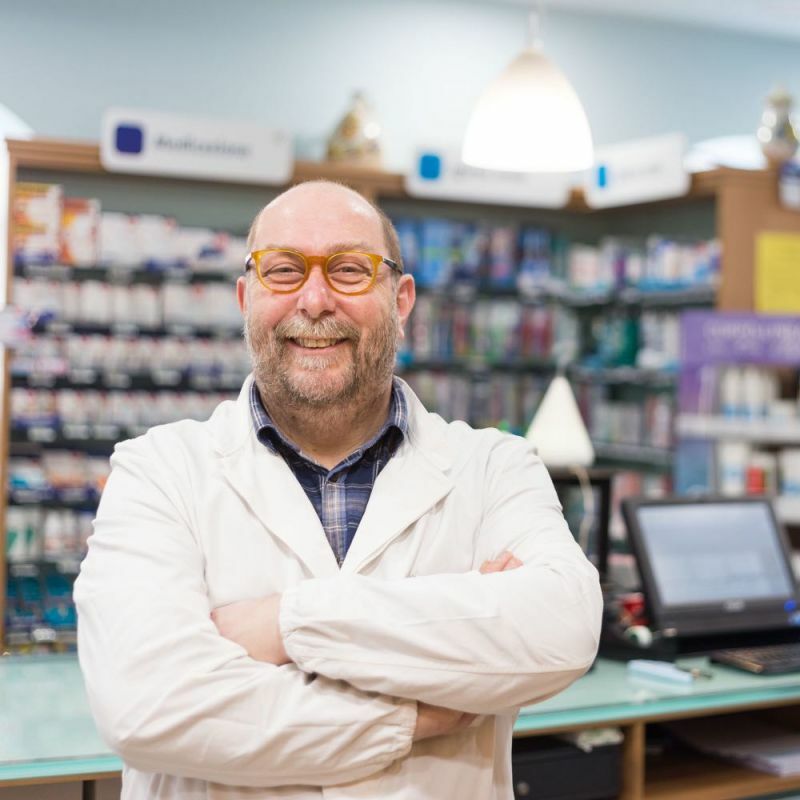 Pharmacist, he continues the family tradition in the service of the local community with his brother Giorgio. Pharmacist, together with his dad Giorgio and her Uncle, she pursues the historic Pharmacy opening the new era of the fourth generation. Discreet and qualified, the girls of our team are ready to help you and suggest the best products about cosmetic and paediatrics. 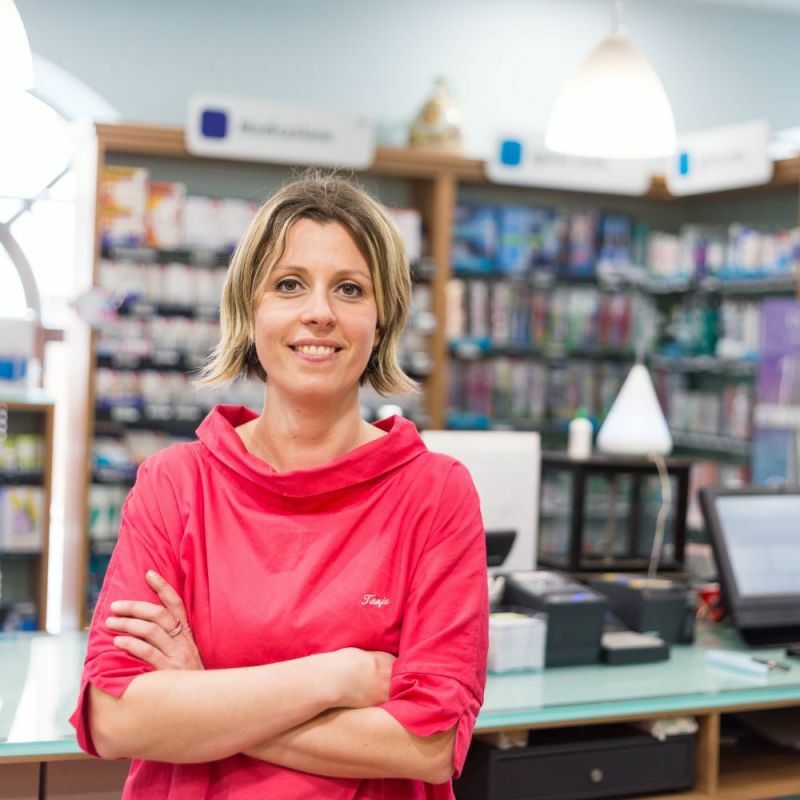 The Trotter family runs the Alla Madonna Pharmacy since the year of its foundation in 1922, and has been working in the service of the community for three generations. 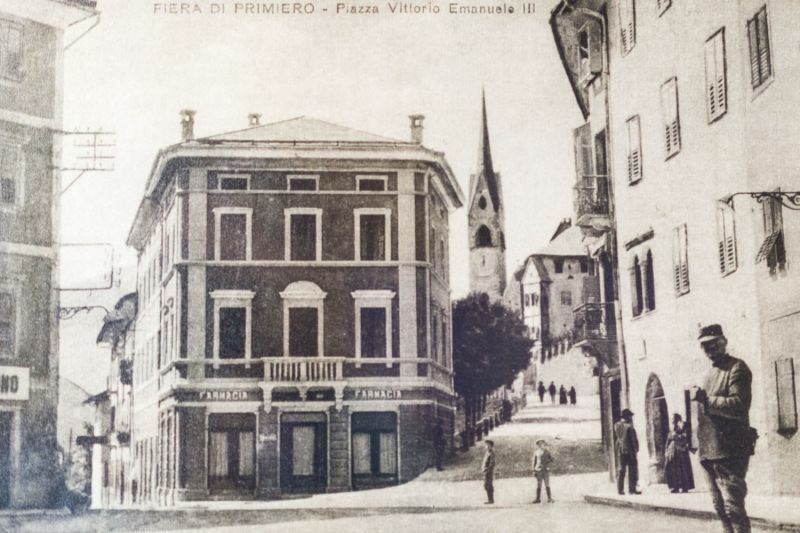 After a first period of activity in the historic building in Piazza Negrelli, bought from Doctor De Abbondi in the very first Twenties, the pharmacist Giuseppe Trotter, after his graduation in Vienna in 1916, moved the headquarters of his pharmacy in Via Guadagnini in 1925. After the graduation in 1946 in Bologna, the son of Giuseppe, Renzo, steps in the family-run business of the pharmacy, a tradition which continues with his sons, the current owners of the Farmacia alla Madonna: Giorgio followed his father after his graduation at the University of Urbino in 1984, as well as his brother Damiano, which graduated at the University of Ferrara in 2000. The fourth generation has now just begun with the two oldest daughters of Giorgio and Damiano, the Pharmacy grad students Lorenza and Sara, who decided indeed to follow in the footsteps of their fathers. Giuseppe Trotter graduates in Pharmacy at the Wien University on 22nd January 1916. 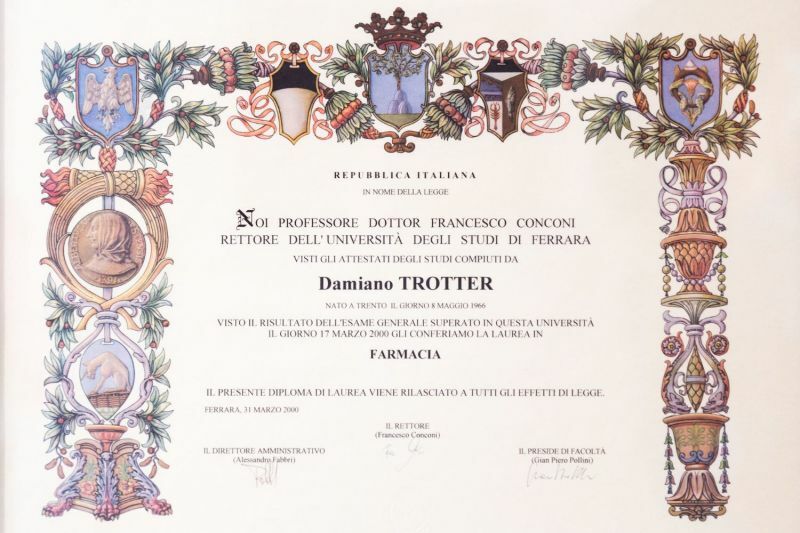 Founding of Farmacia alla Madonna: Giuseppe Trotter purchases from Doctor De Abbondi the historical palace in Piazza Negrelli, in Fiera di Primiero. Relocation: the palace in Via Guadagnini becomes the new headquarters of the Farmacia alla Madonna. 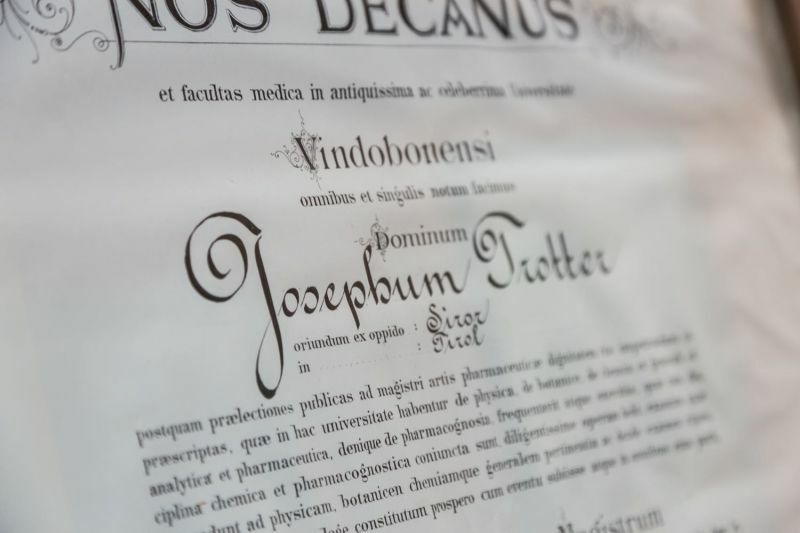 The son of Giuseppe Trotter, Renzo, graduates in Pharmacy at the Bologna University: the second generation behind the historic counter begins. Giorgio, the son of Renzo, graduates in Pharmacy at the Urbino University and succeeds his father, who passes away that year, in the family business. Damiano, second-born of Renzo, graduates in Pharmacy at the Ferrara University and completes with his brother Giorgio the third generation at the head of the pharmacy.